Google is one of the most important authorities on the Internet for website owners because its rankings are the ones that set the standard. If your website is ranked highly by Google, then chances are good it will be ranked highly on other search engines as well. 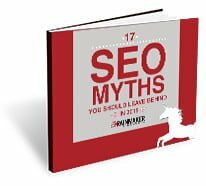 If your website is declared spam, or penalized by Google’s ranking system, that can lead to drops in traffic across the board. Since Google’s ranking system is constantly changing and updating it’s important to keep abreast of the latest developments; such as the one happening in April 2015. A Google rank is made up of a lot of different factors, including backlinks, keywords, and others. Mobile is now an important ranking factor as of April 21, 2015. Put simply, it means that websites that can be read easily off of mobile devices will see an immediate boost in their rankings, while websites that aren’t mobile device friendly will see a dip in their rankings. Why have Google done this? To promote usability across all devices. With the huge number of mobile devices out there right now it makes sense for Google to reward those who are designing for an ever-more-mobile marketplace. If more customers are using smartphones and tablets to search the Internet then Google wants to accommodate those customers so their search results will play nicely with their devices. So while it isn’t forcing website designers to make their sites mobile friendly, it is changing its metrics so that those who are mobile friendly are going to be closer to page one of the search results. For more information on the latest happenings, and how to keep your website on top of the pile, simply contact us today!